This product has been discontinued, where applicable you can navigate to the product detail to see substitution products. Call us if you have questions. The model HDC11E has been named the "Home Defense Center" by Sentry. It is designed to allow the homeowner quick and silent access to a long gun and/or pistol. The 4 button electronic lock is on the top and lights up just enough for you to see. You can put in your combination with one hand while dialiing 911. Includes storage on top and in a hiden bottom interior compartment. Sentry's unique barrel containment system holds your long gun but allows easy and silent removal. Protect your home and family at a reasonable price. 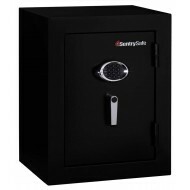 The Sentry electronic Executive Safe EF3428E comes with 1/2 hour fire rating and ETL rated water resistance. It will protect your important papers and valuables from fire, burglary, and water sprinkler spray. In addition, this executive save include a programmable electronic lock. At any time, the code can be changes. The electronic lock is easy to program and easy to use. The interior includes 2 multi-position shelves and is fully carpeted. The world's first and only fire and water resistant safe that provides USB powered connectivity to iPods, digital camer, flash drives and more. Allows users to backup data using their own 2 1/2" storage device. Protects up to 72 CD's and DVD's. Users connect to their laptop or desktop via the external USB port. 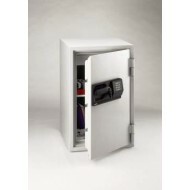 This safe comes with two hour fire protection and impact resistance protection. The lock is a dual lock: LCD electronic back lit keypad and tubular key lock. Key required for every opening. The estimated delivery time will be approximately 3 - 5 weeks from the time of order. 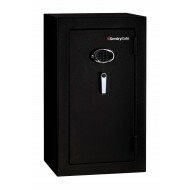 This Sentry large security safe has solid steel construction and concealed hinges as security features. In addition the combination lock is protected from drill attack by a hardened steel plate. Store cash or whatever you need to keep secure. 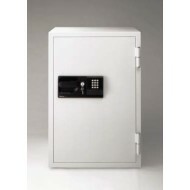 The D888 security safe has three adjustable shelves and an attractive black exterior. 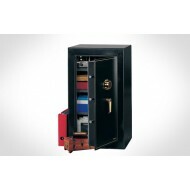 The Sentry EF4738 Executive Safe is designed to offer fire and burglary protection to important documents and valuables. In addition, this safe has earned an ETL water resistance label. 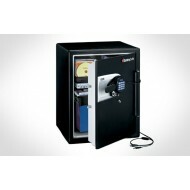 The EF4738 Executive safe comes with an easy-to-program and easy-to-use electronic lock. The interior includes carpeting and 3 multi-position shelves. 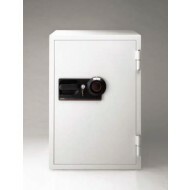 The Sentry floor safe model 7250 is an excellent way to conceal valuables and cash. Because it will be installed in a floor, Sentry's engineers made sure it was waterproof. If this floor safe is installed in concrete, the concrete offers fire protection. It has a four number combination lock and double locking bolts for extra security. The Sentry Model 7250 Floor Safe is waterproof when installed according to the waterproof instructions and the waterproof lid is secure. Products were completely submersed, with up to 2 inches of water above the uppermost surface, for one hour. The amount of water entering the unit was no more than 0.5 grams (8 drops). This large Sentry commercial safe has 1 hour fire protection. With a key and combination lock, it provides perfect storage for important documents and other valuables. It includes a locking drawer for storing small items such as jewelry. Sentry does not recommend bolting down these large safes. Being a dual lock safe, both the key and the combination are required to open the safe providing you with more security. 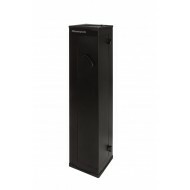 This large Sentry S6770 commercial safe has 1 hour fire protection. It comes a dual lock: electronic lock and bitted key lock. 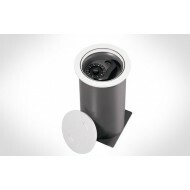 provides perfect storage for important documents and other valuables. It includes a locking drawer for storing small items such as jewelry. The S6770 fire safe comes with wheels installed. Sentry does not recommend taking of the wheels. Sentry does not recommend bolting down these large safes. 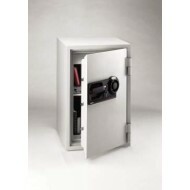 The S7371 large Sentry commercial safe has 1 hour fire protection to contents. This versatile fire safe can be used at home or in a busines to store important documents, valuables, memorabilia - whatever you need to secure. The interior has a locking drawer at the top, which further secures small items such as keys, jewelry, passports, etc. The S7371 comes with installed wheels. Sentry does not recommend removing the wheels bolting down this model.